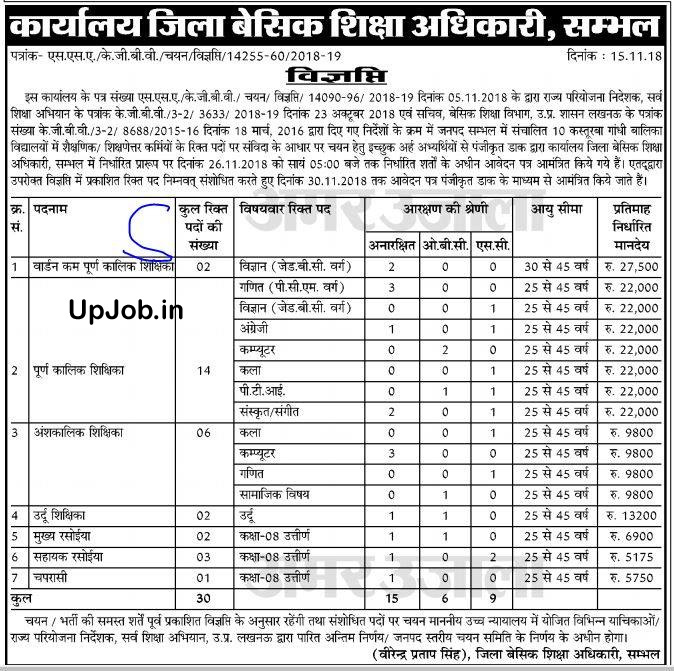 Karyalaya Zila Basic Shiksha Adhikari, Sambhal has published official recruitment notification for inviting application form various category of post filling in Kasturba Gandhi awasiya Balika Vidyalaya. 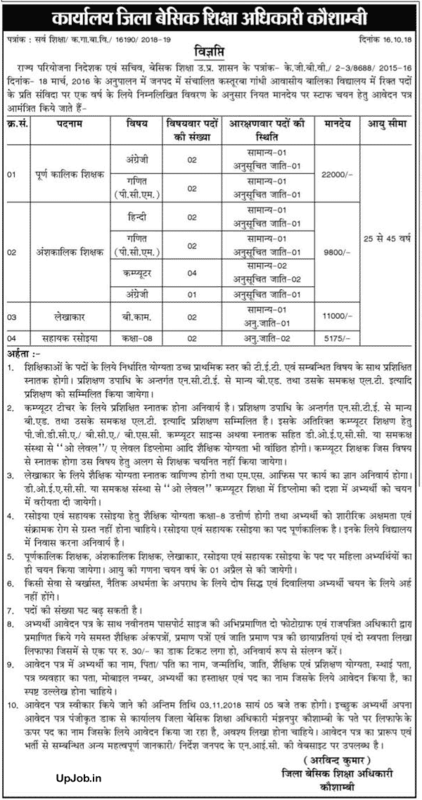 All eligible candidates who want fill application form for the vacancy of kgbv Sambhal; they can fill application form in the prescribed application form format and submit it to the official BSA office address. Last date of application form submission in 26 November 2018. Total number of vacancies is 26. 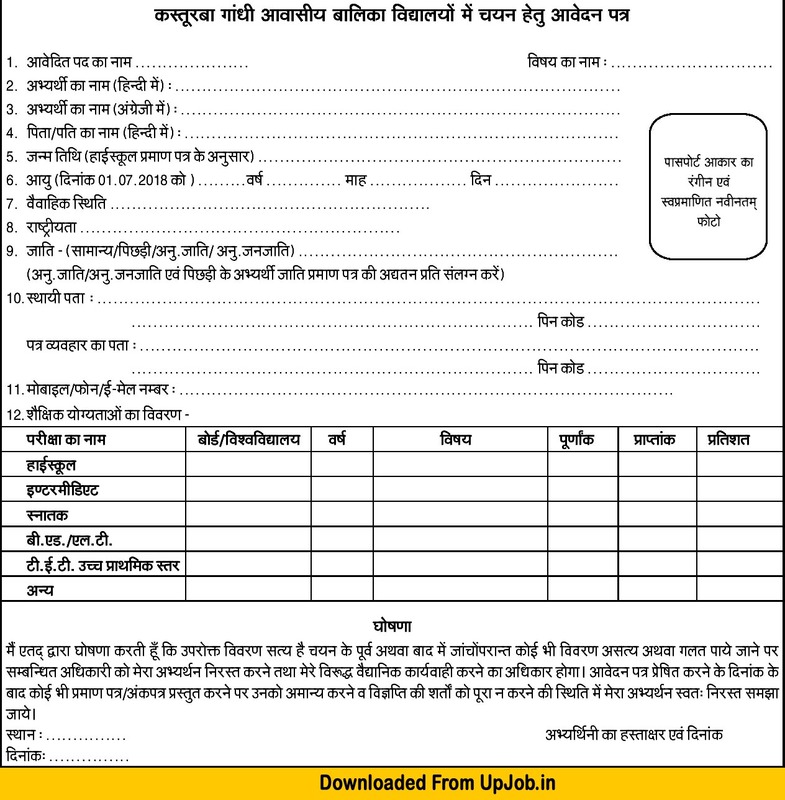 Karyalaya zila basic shiksha adhikari BSA office of different district now started publishing the official recruitment notification for inviting application form in prescribed application form format for the various categories of the posts. 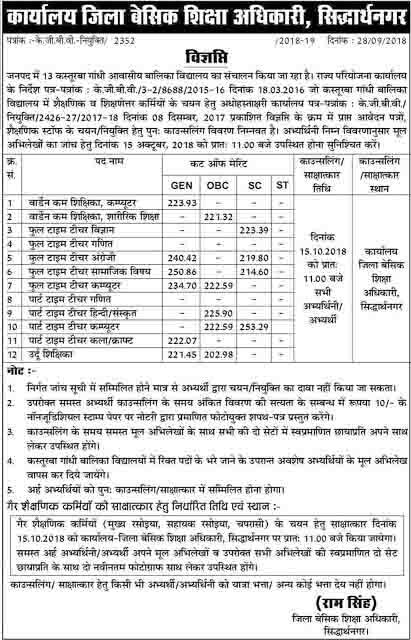 All eligible candidates who hold the eligibility criteria prescribed for KGBV vacancies of Teacher, warden, accountant, chaprasi, Chowkidar and rasoiya posts they can fill application form in prescribed application form proforma which is available at the BSA office of concerned district. Application form and notification issued by different district will be also available on the official website of Cocnered district. Female candidates will get preference for above posts. PGDCA/ BCA/ B.sc CS or graduation with Doeacc O elvel / A level will be required for computer teacher posts. PCB /PCM teacher will be selected for science teacher.